Poly index dividers offer large tabs and inserts that provide 50 percent more space than standard dividers. Customize using your laser or inkjet printer. 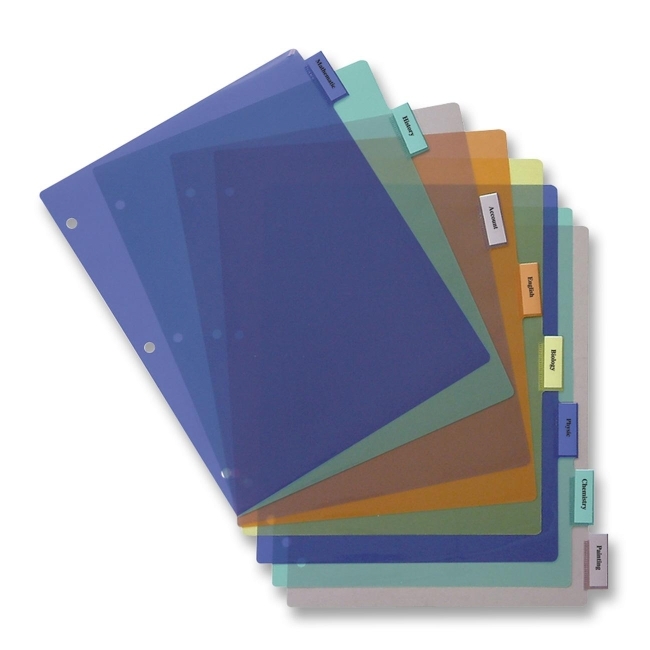 Index dividers are made of 16mm plastic. Templates are available online. Each set includes blank inserts and five assorted colors: blue, green, pink, orange and yellow.